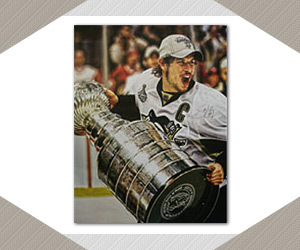 At Spectrum Authentics, Our team is pleased to provide you with a variety of custom options that can incorporate custom framing, plaques and/or your logo to create the ideal framed sports collectible. A unique alternative for corporate rewards, corporate gifting or as incentives for your customers and/or dealers. Please go to our Create an Account link to view our catalogue. We are strictly wholesale and only open our catalogue to our charitable and corporate partners. Spectrum Authentics can customize authentic sports memorabilia to use as corporate incentives and gifts. Unique corporate programs can integrate your logo directly and professionally into the framing of the item. Corporations are repeatedly requested to provide items for charitable organizations and employee fundraising. Unique, authentic sports memorabilia is an excellent way to give. Sports memorabilia provides a high rate of return when auctioned and your corporation will have provided that opportunity.